As a salesperson, email is one of your most potent tools. Conversely, it can become the bane of your existence if you allow the volume of emails you send and receive to get out of hand, or you don't organize your inbox. So, what do you get with this new Mail page interface? Multitasking is great in many instances, but when it comes to important messages, it is much better to focus on what you're reading or writing without any distractions. Our new UI also gives you a reading view, meaning you're not interrupted by new mail dropping into your Pipedrive inbox. When you do switch back to the conversation list view, you'll note that you now have relevant information to hand. As an example, messages are linked to deal names, allowing you to keep track of details found outside your regular inbox. 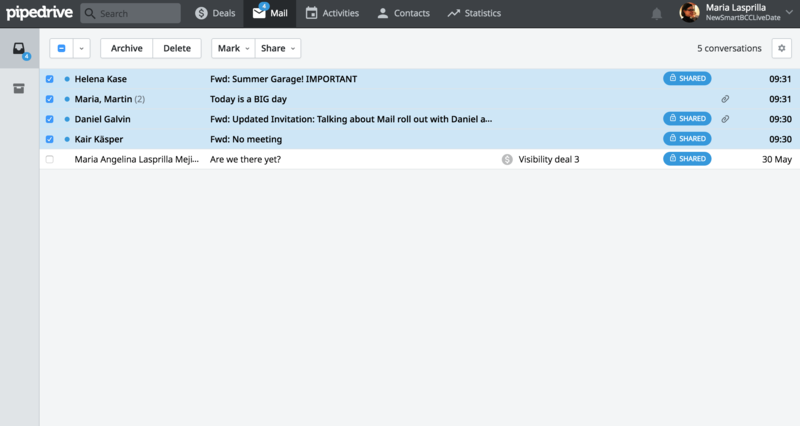 This switch brings Pipedrive’s Mail page UI into line with most email clients on the market and it is also the most convenient way to segment a sales inbox. Now you can switch easily between logical mail groupings, rather than have all your emails in one overstuffed folder. This one is a real time-saver. We've removed the tedium of deleting or moving emails one by one, and replaced it with a convenient system that lets you mark a whole bunch at once before applying bulk actions. Turn 100 little jobs into one big one at the click of a button. We're taking a phased approach to this release as there is a huge amount of very important data involved and we want to ensure that all our users are happy with the migration. Any new users will automatically have the upgraded UI enabled, while our existing customers will be switched over in batches during the next month. You will receive a notification once you've been upgraded. One very important thing to note: If you joined Pipedrive before Dec. 18, 2014 and chose not to enable our previous mail upgrade, this new update will not work at all. Confused? 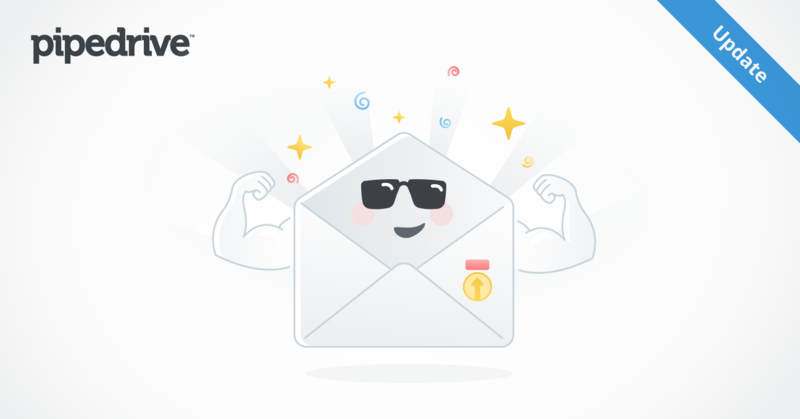 Read the second half of this article which explains in detail what the previously upgraded detail view comprises, then check here to see if you are ready for our latest Mail UI update. This is just the first release in what promises to be a string of key improvements to Pipedrive's mail system. Keep an eye out for more exciting announcements over the coming months. As always, we place a huge value on your feedback as it helps us to make your mail usage better. Send your opinions, advice and questions to support@pipedrive.com. You can also watch this great tutorial video that covers all aspects of the Pipedrive mail system.